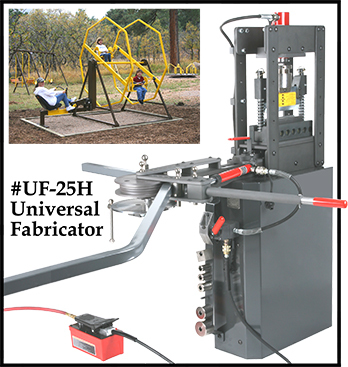 The #UF-25H Universal Fabricator will make up to 180 degree bends in up to 1-1/4” schedule 40 pipe, up to 1-5/8” (outside diameter) 10 gauge round tubing, and up to 1-1/2” 10 gauge square tubing. 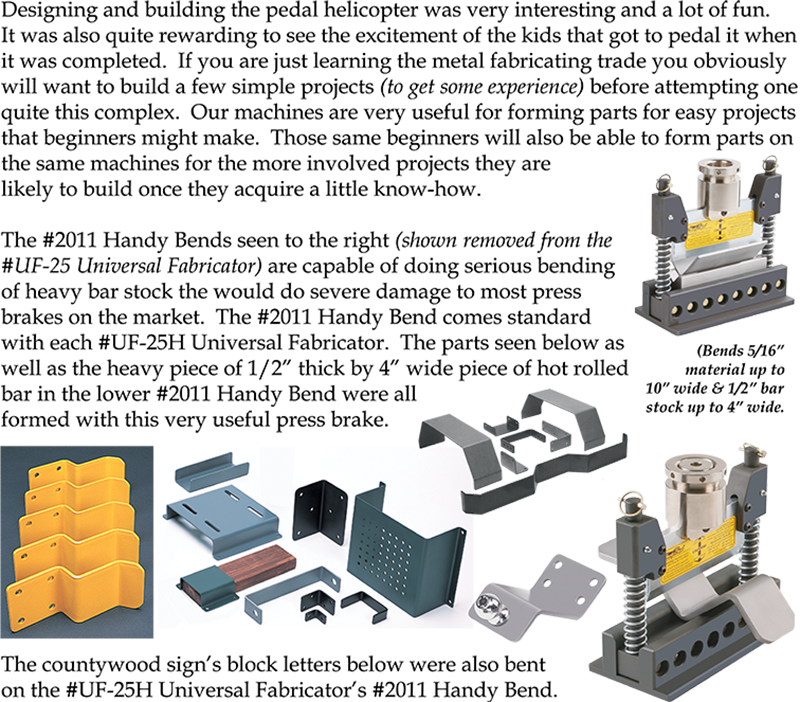 It will also form a wide variety of sizes of flats, solid squares and solid rounds. 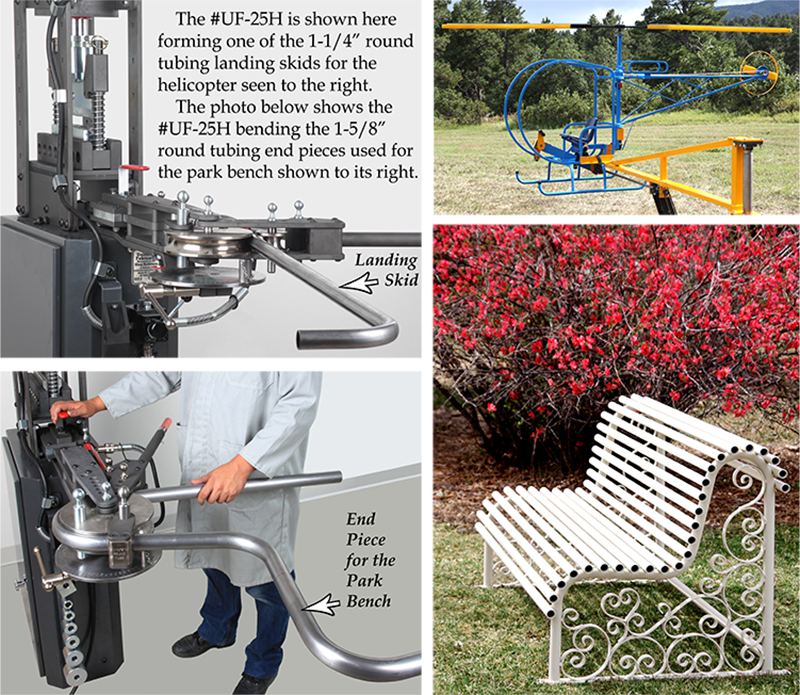 The parts for the helicopter were formed on the #UF-25H Universal Fabricator and the #338 Ring Roller. 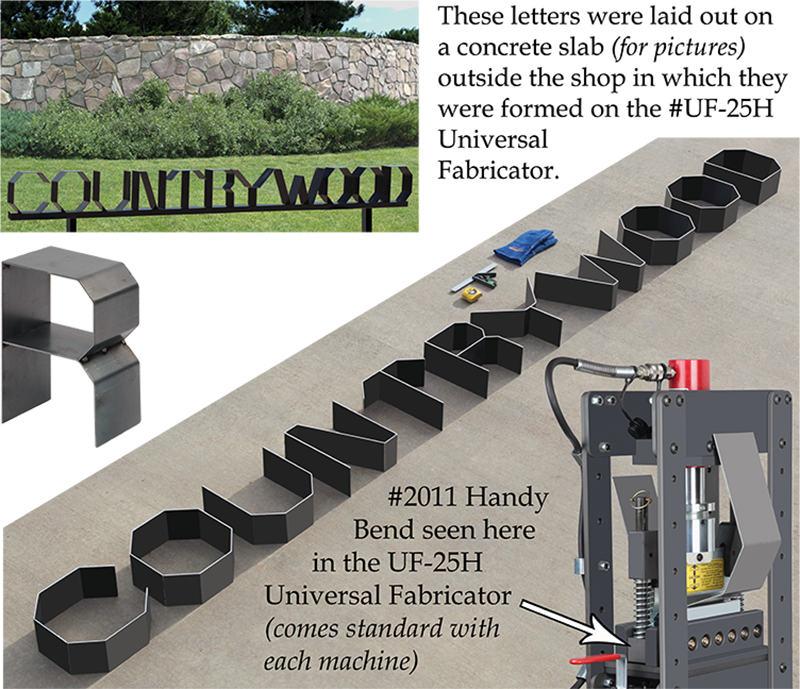 The variety of bends seen on it gives one a sense of the broad capabilities of our unique fabricating equipment. Click on Fabricated Projects to the right to see larger views of projects that include this pedal helicopter which the kids who have ridden it have enjoyed immensely. If you own a plasma cutting table it makes sense that you would want to add a couple pieces of our equipment to your operation. Our metal forming tools turn what is for the most part the two dimensional world of plasma cutting into a third dimension. Shown in our catalog and on this website are a number of projects that make it clear how combining plasma cut artwork with our metal forming equipment opens up a whole new world of possibilities. 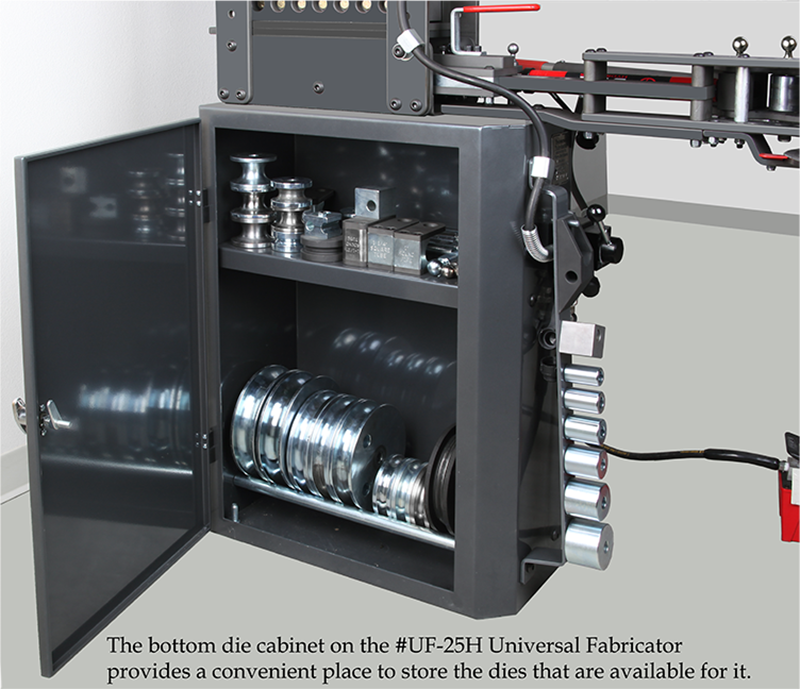 One such example is the truck headache rack shown below which was cut on a PlasmaCam machine and then welded into the round tubing frame which was bent up on the #UF-25H Universal Fabricator. Even though we are not in the business of building headache racks I have seen a lot of interest in them on the part of pickup owners. After seeing the one I have on my pickup several people have asked me where they could get one made for their own truck. I have always thought that this would be a lucrative business for someone to specialize in. Window scenes could show the trade or interest of the vehicle owner.